For almost two weeks now, the Storm Prediction Center has issued at least a slight risk for severe storms every day in their morning forecast. This means there has been an increased chance for damaging winds, large hail, tornadoes or a combination of those three things nearly every day in the month of June. 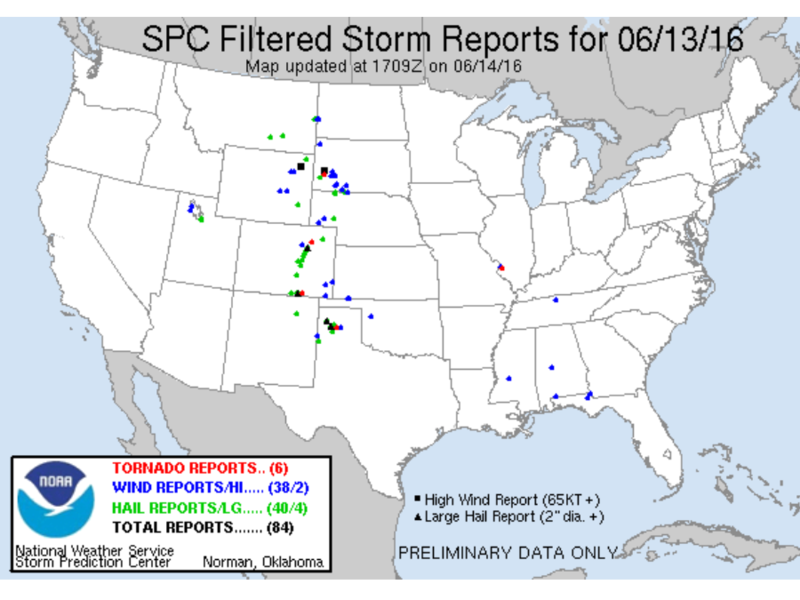 Yesterday, there were almost 100 storm damage reports across the United States. That same pattern is likely to continue the rest of the week. 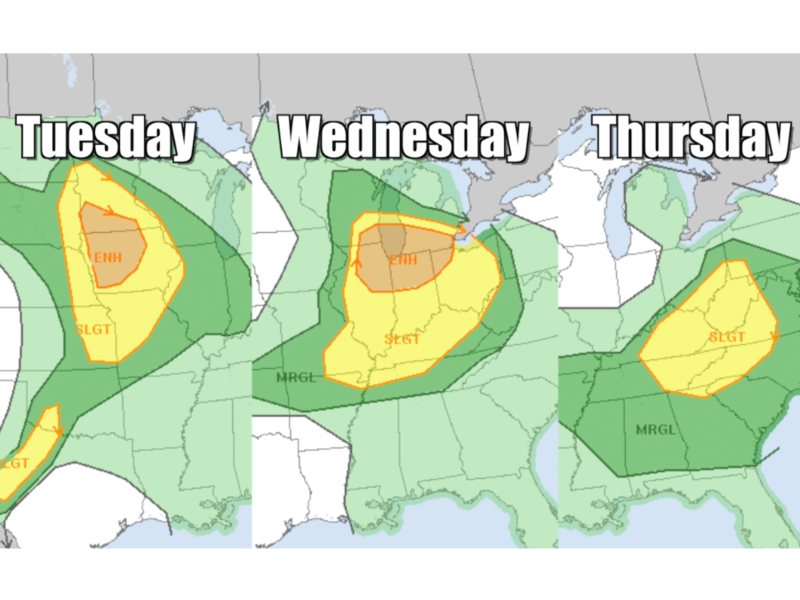 Tuesday's severe weather threat is centered over Iowa while on Wednesday, the threat moves across the Ohio Valley and into the Mid-Atlantic on Wednesday and Thursday. All this severe weather and tornado activity isn't out of the ordinary, either. 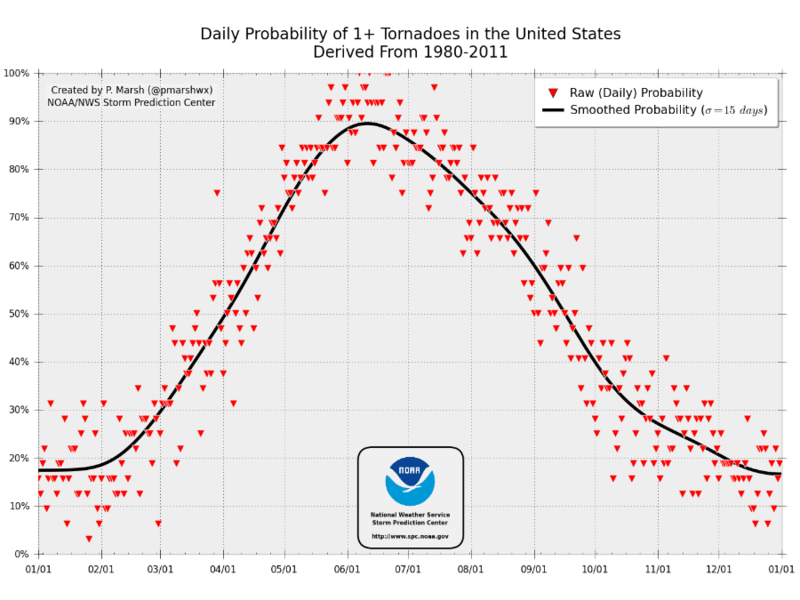 Looking at historical averages, the first half of June is when the United States has the best chance to see tornadoes. By the end of the month, those probabilities start to slowly drop, but we're still far from out of the woods just yet. In the meantime, it's important to pay attention to daily forecasts and severe weather chances.